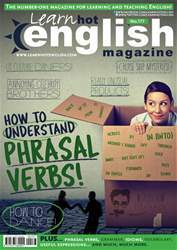 Digital Subscriptions > Learn Hot English > 177 > DOING THE DEVIL’S BUSINESS. MEET THE FAMILY. CHARLES MANSON WAS A CULT LEADER WHO WAS ALSO LINKED TO THE INFAMOUS MANSON FAMILY KILLINGS. Charles Manson had a difficult childhood. It seems that he never knew his real father. His surname is actually from another man who was married for a while to his mother, Kathleen Maddox. Kathleen had Manson at the age of 16. She was apparently an alcoholic who once sold young Charlie for a pitcher of beer (his uncle later bought him back). Growing up, Manson got into a lot of trouble with the law, and had spent half his life in prison by the 1960s. His jailhouse behaviour was erratic. Sometimes he acted violently, and other times he behaved like a model prisoner. During his time inside, Alvin “Creepy” Karpis, an infamous bank robber, taught Manson to play the guitar. By the time he was released in 1967, Manson had become a gifted guitarist with ambitions of breaking into the Los Angeles music scene. Also while in jail, Manson studied Scientology. When he arrived in LA, he used his music and his knowledge of Scientology to establish himself as a guru with many young female followers. It was then that the Manson Family was born.